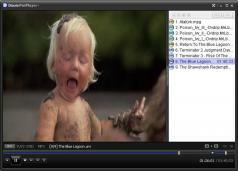 PotPlayer is a free, but feature-rich multimedia player, with built-in support of skins, subtitles and TV channels. PotPlayer is based on KMP (Korean Media Player) although it received numerous improvements and faster speed. It includes ffdshow and other technologies that lets you connect to Korean-only video/Chat network.